Chances are, if you’ve ever highlighted or permed your hair (aka, exposed your strands to some major damage), you've heard of Olaplex. And if you haven't, we're here to spread the news. Olaplex belongs to the rare elite of buzzy beauty products that actually live up to their miraculous claims. It's the product to which Kylie Jenner has credited her ability to go from raven to platinum overnight. It's what allowed Julianne Hough to literally transform her natural hair texture from straight to wavy. The best hair professionals in the world all swear by Olaplex, because it works like nothing else to strengthen hair from the inside out. This allows impossible transformations to take place without damaging the hair irreparably. We've already answered the question of whether or not Olaplex works: It does. But exactly how does Olaplex work? To find out the science, we got in touch with three experts who know it best: a top colorist, a hair extensions artist, and an educator from the brand. Keep reading to learn how Olaplex really works! First thing's first: Olaplex is three-step hair treatment that repairs hair damage while also preventing against future damage. The first two steps take place in-salon, whereas the third step is used at home to bolster and extend hair quality. What makes the Olaplex system so universally beloved is that it works with all hair types and textures. As Martine Robertson, director of education at Olaplex puts it, "Olaplex is for everyone, literally. All hair goes through stress that can lead to breakage. Imagine that Olaplex is like a gym routine for your hair—the more you use it the stronger, healthier, and shinier it will be." Natural, colored, fine, full—even extensions—all hair types benefit from the treatment. Hair extensions artist Violet Teriti swears by Olaplex for keeping clients' extensions pristine. "After three to four months wearing the extensions and treating their hair with Olaplex, the clients see fantastic results," she says. "The extensions always stay shiny and healthy, allowing them to reuse the hair over a year." Teriti also uses Olaplex personally, once or twice per week, crediting the product for keeping her natural hair strong, healthy, and growing, even while wearing extensions. Different from all other hair repair systems, Olaplex struck gold with its formula. The star ingredient is Bis-aminopropyl diglycol dimaleate (a mouthful, we know). It's a patented ingredient that actively restores broken bonds. If you're like me, you immediately think of the hundreds of split ends happening on your head, but Robertson explains that it addresses so much more. "Olaplex is repairing each hair strand as a whole (from base to ends)," she says. "It's finding bonds that have been broken down by any means (hair color, chemical straighteners, blow dryers, etc.) and reconnecting them both ionically and covalently. This means that broken or weak bonds, located anywhere on the hair shaft, are targeted." Much of the buzz surrounding Olaplex stems from its incredible capability to fend off damage from hair color. Celebrity colorist Matt Rez considers it a must for hair lightening. "Blondes and those who want the lightest strands must be on their Olaplex game," he says. "I use Olaplex in the salon all the time. We mix part 1 into our color formulas, and we do part 2 post-color to super secure and keep my clients' hair strong through different processes." 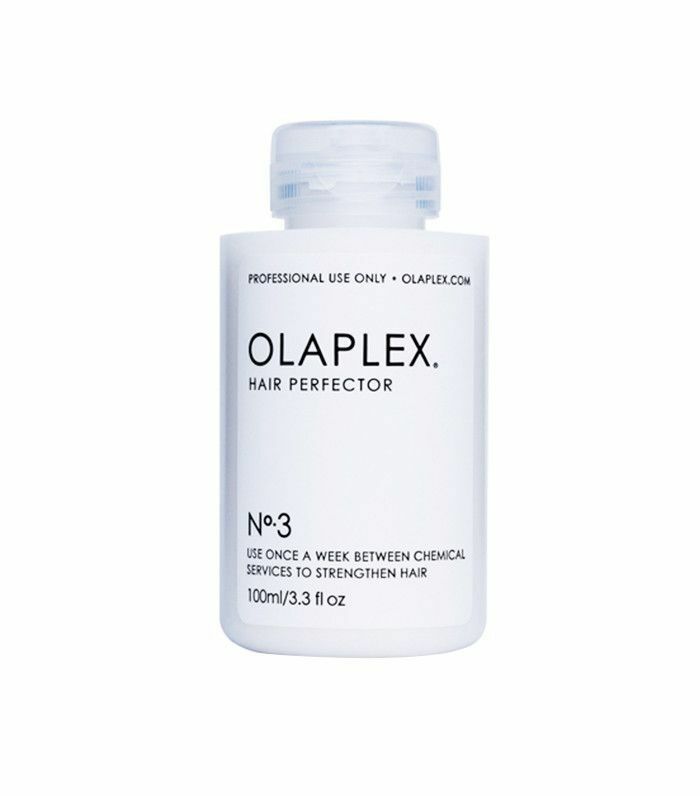 Olaplex is especially useful for blondes, as going lighter than your natural color involves breaking your hair's bonds. "When lifting out pigment, we are using a bleach or ammoniated color to highlight hair," Rez explains. "That causes swelling to the hair cuticle for color or lightener to do its job," Rez says. This is where Olaplex comes in, and "secures a healthy lightening." The first two steps of the Olaplex system are for professional use exclusively. To find salons that use the Olaplex system, check out its website. However, if you're curious about trying it on your own before heading in for the complete treatment, Roberston says it's entirely okay to skip right to step 3. "Think of Olaplex No.3 as the ultimate mini treatment," she says. Many people ask if No.3 will repair hair if you haven't used the first two, and the answer is yes! It doesn't replace the in salon system, but it's a great way to test the waters if you're curious." As for how often you should be using Olaplex? That depends on the scope and severity of your hair's damage. Roberston recommends including a treatment with each salon visit followed with No.3 every one or two weeks. However, "for moderate to severely damaged hair I would recommend one to two Olaplex Stand Alone Treatments a month, followed by using of No.3 once a week," she says. Next up, read all about how volumizing hair products really work.